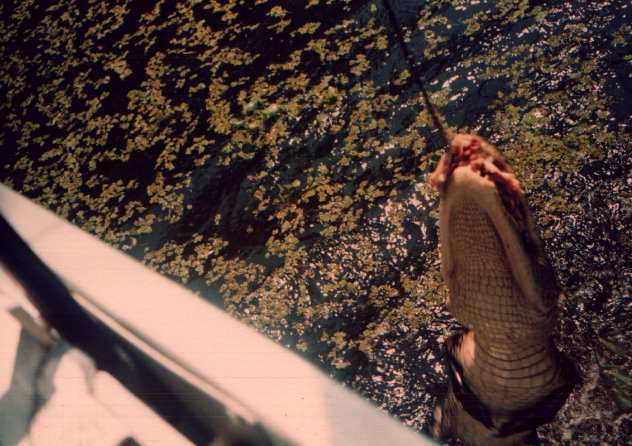 Experience the unspoilt beauty of Louisiana's Backwaters. 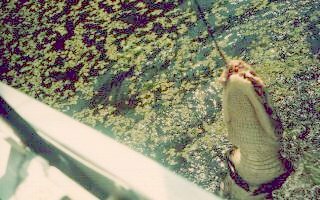 With Cajun Critters, you'll enter into the backwaters of Louisiana and float past the places where pirates and Indians once roamed. Migrating songbirds, Egrets, Ibexes, Great Blue Herons, Pelicans... perhaps you'll even see a Bald Eagle or the occasional Macaw blown off course from a passing hurricane. Peer far enough ahead and you'll notice an Otter or Mink swimming to the opposite bank. Rabbits and Deer, Armadillos and Ducks all call this mystical wilderness their home. Visitors are welcome-as long as they respect nature's reign over this waterlogged domain. Lying on the bank in the sunshine! A hungry but patient alligator waits, anticipating his next meal. His cold, never-ending stare focuses on a nearby unsuspecting nutria. A snapping turtle, watching knowingly from a nearby cypress knee, plunges beneath the surface of the dark, tanin-painted water as we pass.